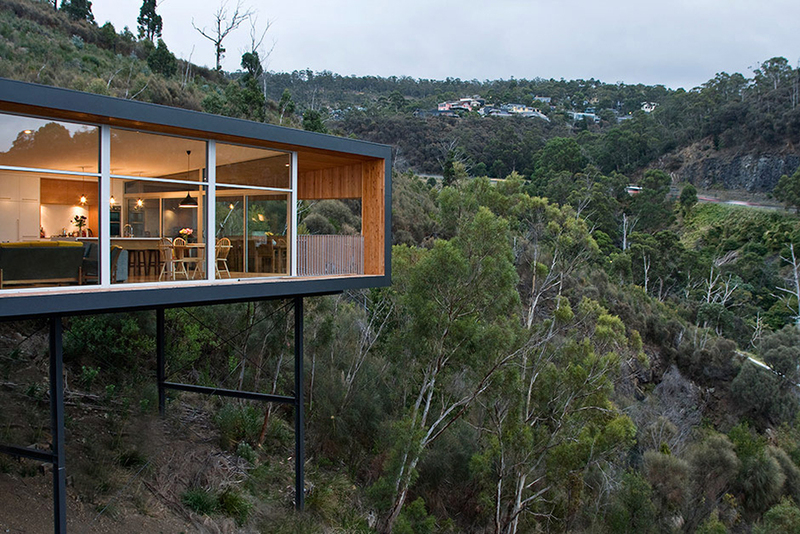 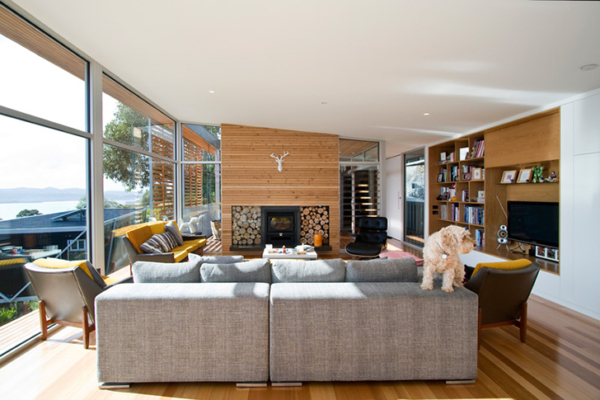 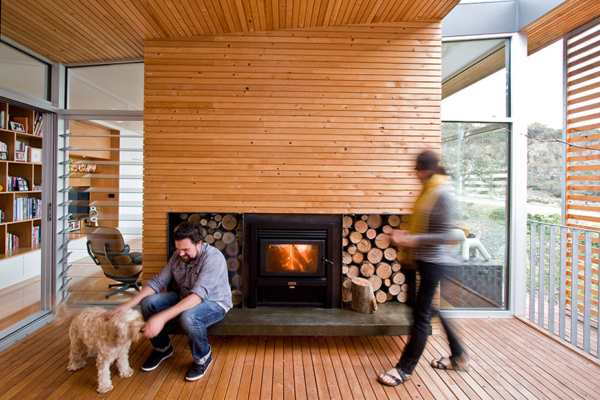 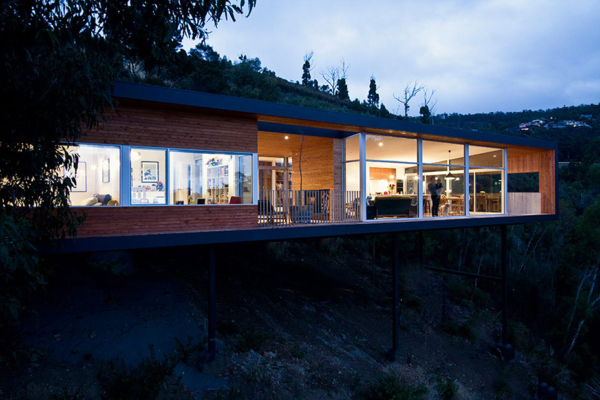 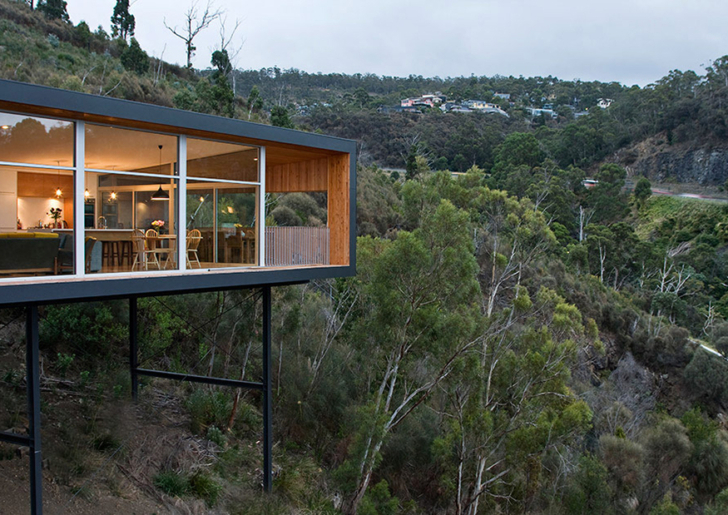 Floating along the steep slopes of the southern outlet, the Highway House is a 135 sqm single level house looks like a elongated box overlooking the expansive view of the Derwent River and the City of Hobart. 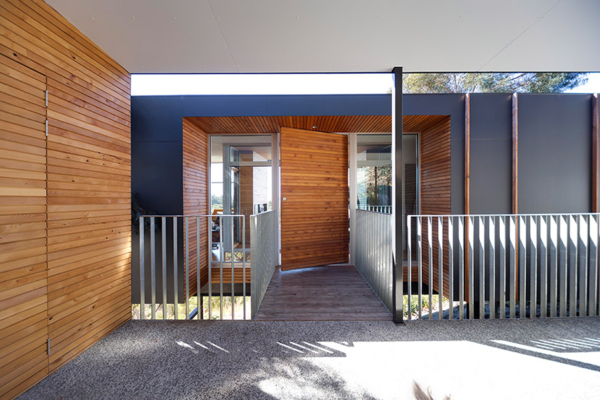 This lightweight timber building is shaded by both the roof overhang and custom external battened screens that slide the full length of the Northern facade. 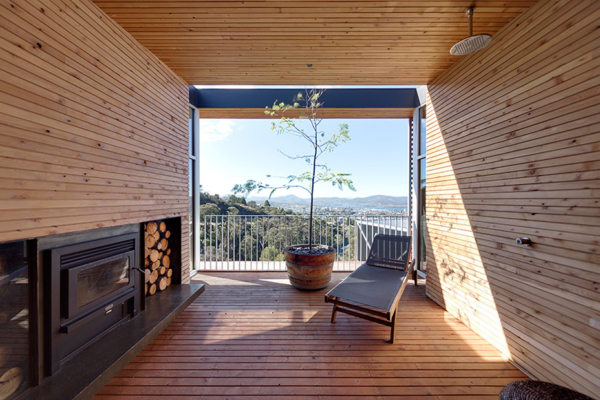 The internal spaces are divided into private and public areas by a central enclosed deck with a roof void to allow sun and breezes into the depth of the plan.